ADHD is a common behavioral condition that about 10 percent of school age children have, so it is essential to spread awareness about the topic. Boys get diagnosed with ADHD about three times as more likely than girls, although why this happens is not supported by any conclusive research yet. All kids can sometimes be hyperactive, have trouble focusing, or act without thinking. The difference with ADHD is that symptoms are present over a longer time span and happen in various settings. These would negatively affect the child's ability to function academically, socially, and at home. Unfortunately, because many parents are still unaware of the exact signs and symptoms of ADHD, a lot of children still do not get treated correctly. Curing ADHD begins with timely detection and proper therapy. To help you identify if your child or someone you love has ADHD, here are some of the most common symptoms of ADHD. Hyperactivity - Hyperactivity is one of the easily recognizable ADHD symptoms. A child suffering from ADHD will be constantly trying to pay attention to everything at the same time. He will be very restless and will keep moving around his hands or feet. He will always be on the run or constantly talking even while engaged in a task. If your child is showing signs of hyperactivity, keep observing him for at least 6 months. If after this period, the symptoms are still present, you need to see a physician to get him diagnosed. Inattentiveness - Children who suffer from ADHD have an inability to pay attention. A child who has ADHD will have a very difficult time paying attention on something for a long period of time. He will also be easily distracted. He will lose focus on what he is supposed to do, and will get distracted instead by light, sound, movements, and other stimuli. He will be unable to pin his attention a single activity. He will not be able to listen properly to instructions. He will seldom pay attention to details. Know more about ADHD in http://www.ehow.com/health/conditions-treatments/adhd . Impulsiveness - Children who have ADHD lack self control. A child who has ADHD will be unable to control his emotions. He will usually be unable to wait for his turn at something. He will sometimes make uncalled for comments at the wrong moments. Because of this, it would be extremely difficult for him to create positive social relationships with his peers. In some cases, these three symptoms are clearly visible, while in other cases, they be far less so. 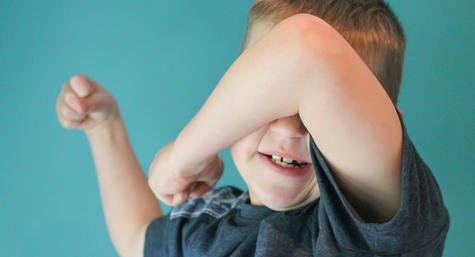 Some children with ADHD may display hyperactivity, but almost none of the other symptoms. These symptoms of ADHD should never be ignored. A consultation with a specialist can easily diagnose this and help in the healing process.